Stephen concentrates his practice in structural re-development and recovery massage. With an in-depth understanding of anatomy and structural kinesiology, Stephen is able to work muscular issues at the root and not just at the surface. His massage incorporates a variety of techniques, including myofascial release and advanced stretching, and he is trained and licensed in a wide range of massage modalities, including: Deep Tissue, Swedish, Lomi Lomi, Orthopedic, Cupping, Prenatal, Hot Stone, and Sports Therapy. His practical experience ranges from work with athletic departments, both on the collegiate and high school level, to work in day spas. He has been certified by the International Weightlifting Association as a Health and Wellness Coach as well as a Senior Strength Trainer. In his previous post, he was the guest services manager at Elizabeth Arden Red Door Spa & salon and was responsible for designing a comprehensive Quality-of-Service training program for guest service representatives. In this capacity, he also developed a company-wide, guest incentive-based reward program to increase customer retention. 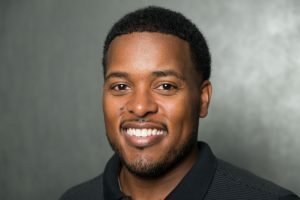 Currently, Stephen works as the head massage therapist for the University of Maryland Men’s Soccer Team, Track and Field Team, and Cross Country Team. Recently, he lead the therapeutic massage team for Rasta Thomas’ Bad Boys of Dance traveling dance company, as they prepared for the 2013 European tour. Stephen’s formal training was conducted at the Potomac Massage Training Institute in Washington, D.C. He graduated from the University of Maryland, College Park with a degree in Communications. Stephen is the co-chair of the AMTA MD Chapter Law and Legislation Committee and an active member of the Howard County Chamber of Commerce.